Mercy Optical tools -The Herschels of Hanover. Lesson plan on Optical Tools, followed by Power point presentation. Astronomers: Caroline Herschel, Sir Wiliam Herschel, Lyman Spitzer. Contributions to Astronomy. Are all galaxies the same size? 3. Amundsen High School: 2 presentations. 1) Are Galaxies the same size? 2)does the radius of the galaxy affect the galaxy? 4. Malek Sarhan: Is the universe Homogenous?5. Students preparing for final presentation. Scientists from three Department of Energy national laboratories, Fermilab, Brook haven and Argonne, along with scientists from seven foreign countries and more than a dozen U.S. universities are collaborating on a new physics experiment that will probe fundamental properties of matter and space. Muon g-2 (pronounced gee minus two) is an Intensity Frontier experiment that will allow researchers to peer into the subatomic world to search for undiscovered particles that may be hiding in the vacuum. 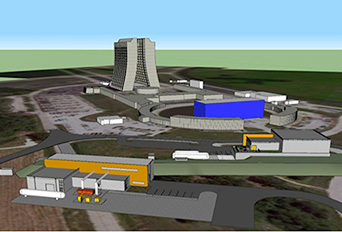 Soon to be built at Fermi lab’s new Muon Campus, the experiment will use the Fermilab accelerator complex to produce an intense beam of muons traveling at nearly the speed of light. Scientists will use the beam to precisely determine the value of a property known as the g-2 of the muon. The muon, like its lighter sibling the electron, acts like a spinning magnet. The parameter known as “g” indicates how strong the magnet is and the rate of its gyration. The value of g is slightly larger than 2, hence the name of the experiment. This difference from 2 is caused by the presence of virtual particles that appear from the vacuum and then quickly disappear into it again. In measuring g-2 with high precision and comparing its value to the theoretical prediction, physicists will discover whether the experiment agrees with theory. Any deviation would point to as yet undiscovered subatomic particles that exist in nature. An experiment that concluded in 2001 at Brook haven National Laboratory found a tantalizing greater-than-3-sigma (standard deviation) discrepancy between the theoretical calculation and the measurement of the muon g-2. The level necessary for claiming a discovery is 5 sigma. Fermilab will pick up where Brook haven left off, making an even more precise measurement. With a four-fold increase in the measurement’s precision, Muon g-2 will be more sensitive to virtual or hidden particles and forces than any previous experiment of its kind. About 100 scientists from China, England, Germany, Italy, Japan, the Netherlands, Russia and more than 15 institutions in the United States are collaborating with Fermilab on this experiment. The centerpiece of the Muon g-2 experiment at Fermilab is a large, 50-foot-diameter superconducting muon storage ring. This one-of-a-kind ring, made of steel, aluminum and superconducting wire, was built for the previous g-2 experiment at Brook haven. The ring will be moved from Brook haven to Fermilab during the second half of 2013. Making use of Fermi lab’s intense particle beams, scientists will be able to significantly increase the science output of this unique instrument. The experiment will start taking data in 2016. How Does Muon g-2 Work? How do we measure g-2? A beam of muons with aligned spins is directed into a storage ring that has a very precisely known magnetic field. As the beam goes around this storage ring, the muons’ spins wobble, or precess. Scientists measure the rate that they precess very precisely. The magnitude of that precession is directly related to the difference of g from 2, or g-2. The world’s best muon g-2 measurement was performed by Brookhaven National Laboratory’s experiment E821, completed in 2001. To perform this measurement with sufficient precision, E821 stored a total of 100 billion muons in a large electromagnet and observed their spin precessions. To nearly everyone’s astonishment, E821’s measurement differed from the Standard Model prediction by greater than 3 standard deviations. Physicists are excited by the possibility that the discrepancy is due to previously unknown particles appearing from and disappearing back into the vacuum. Scientists will make use of Fermilab’s new Muon Campus to study muons with greater precision than ever before. The Muon g-2 experiment begins with a beam of protons. About 12 times every second, Fermilab’s accelerators smash a bunch of protons, roughly 1012 particles, into a fixed target, creating different types of particles. Scientists on the Muon g-2 experiment are interested in the emerging pions, which quickly decay into muons, whose spins point in the same direction. Magnets steer the pions and the resulting muons into a 14-meter-diameter ring called the Muon Delivery Ring, a ring formerly used as part of Fermilab’s Antiproton Source. As the particles travel hundreds of yards around the ring, essentially all of the pions decay into muons. This beam of muons is then transferred into a second ring, the experiment’s precision storage ring, which was also used in the Brookhaven experiment. This 50-foot-diameter ring will be housed in a new building adjacent to the Muon Delivery Ring on the Muon Campus. As the muons orbit around the storage ring at nearly the speed of light, their internal bar magnets will rotate around the magnetic field. As the muons travel around the ring, they are continually decaying into neutrinos and positrons. The neutrinos fly away undetected, but the positrons, which travel in the same direction that the bar magnet was pointing when the muon decayed, can be measured. The number of high-energy positrons detected as a function of time, along with their energy, provides all the information researchers need to understand how much the muon’s internal bar magnet is precessing. Sensitive detectors installed along the ring will measure the orbits and the precessions of these positrons with greater accuracy than ever before — to 140 parts per billion. The results, which will only be known upon the completion of a several-year run, will be compared to theorists’ g-2 prediction. If the experimental result differs from the theoretical prediction, it could be a sign of undiscovered physics beyond the Standard Model. Combining the Muon g-2 results with those from other experiments could help explain, or even point to, new physics the LHC might find. Particle physics theorists at Fermilab and elsewhere are driving a worldwide program in high-powered computational physics to calculate part of the Standard Model contribution to g-2. Teachers to prepare lesson plan following the rubric send by Julia. If U – r is less than 2.2 the object is a blue star or galaxy. Teachers lesson plan due by Aug 14 with modifications. Vikram spoke the properties of x rays , how they are formed. Low and high energy x rays.chandra telescope and the history of other telescopes. Light. Red shift and blue shift phenomena also were studied. Micro calorimeters for X – ray spectroscopy for measuring energy. 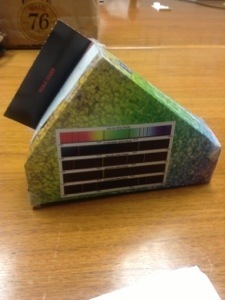 Students built their own spectroscope. Student Activity building a electromagnetic spectrum. Teacher demonstration of diffraction grading using a CD. Read article ” A crooked path” Gamma Rays. Applications of gamma rays in medicine, home land security, detection of substances that are threat to the nation. Treatment of cancers using gamma rays. Gamma knife surgery. Galaxy Zoo Tutorial assists in classifying galaxies. Christie suggested a library tour for the students at university. On line resources available on Christie’s blog on various topics. Free courses are offered at the university for students superior academic grades. Video conference with Nick Woolf through Skype. From Arizona. Early history of various telescopes, automated, land based telescopes and the challenges over the period of years were discussed. QA from students and teachers were answered by Nick. Wind chimes at the background made good music during presentation !!!! Teacher demonstrations on red shift, SDSS data navigation, looking for spectrograph and analysis of redshift. Morning session started with discussion on the outcome of the program for both students & teachers. Both students and teachers will do blogging everyday regarding the day’s activities and discussion or presentations. Teachers would create a lesson plan and present it to the participants. 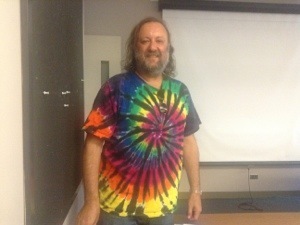 Don showed how to navigate SDSS data and and analyze spectrograph. Don explained how telescopes work. There are various telescopes, land based and explained the working of Hubble telescope. Welcome Roosevelt High school participants to the NASA All Stars program 2013. Have a wonderful experience at the university of Chicago. Hope you have an enjoyable time learning and interacting with students from cps schools.